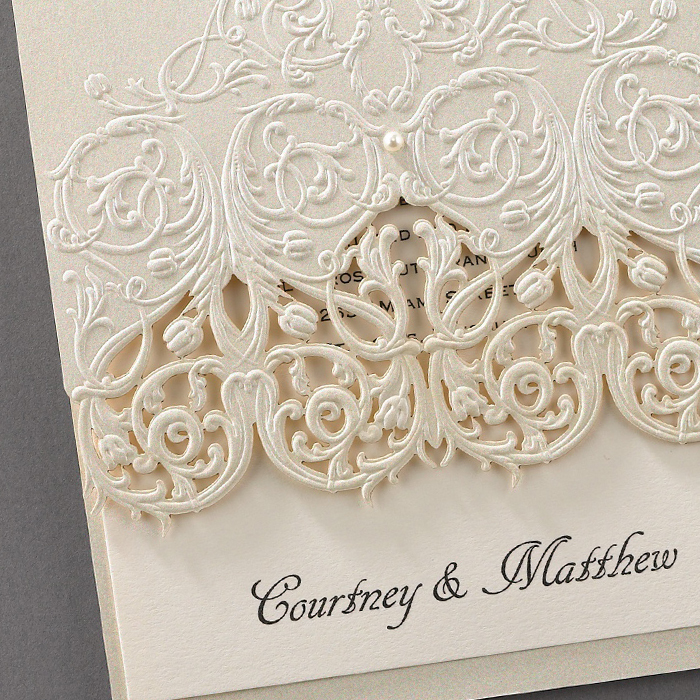 Often couples come to us with a style in mind, say 1920’s Art Deco or Great Gatsby style. 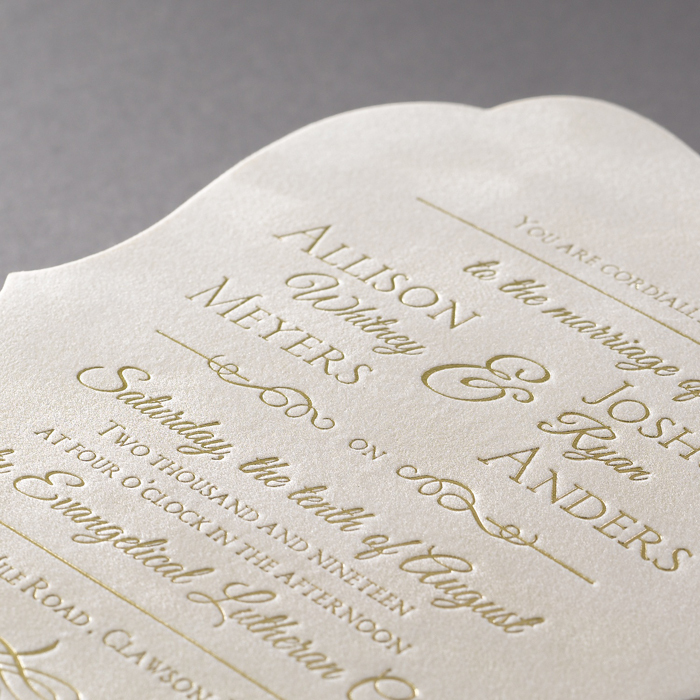 The lovely rich colours, geometric shapes, sharp outlines and create a sense of luxury. 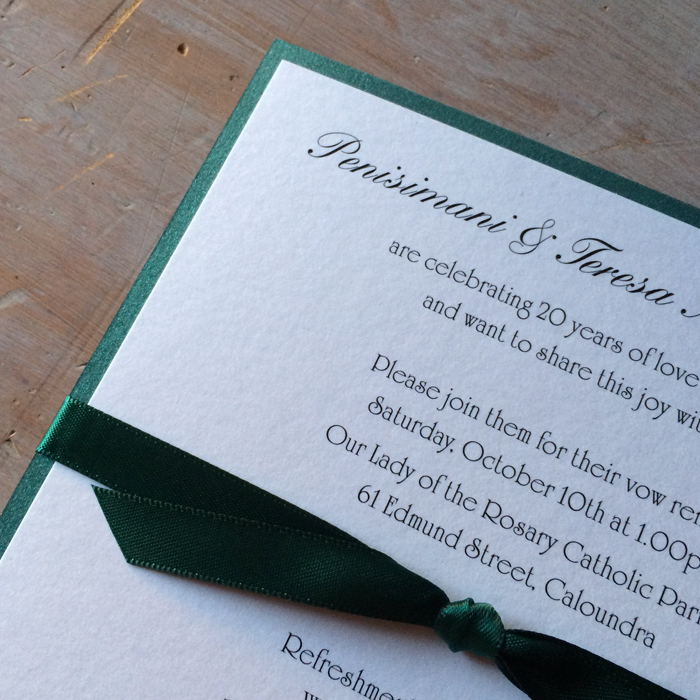 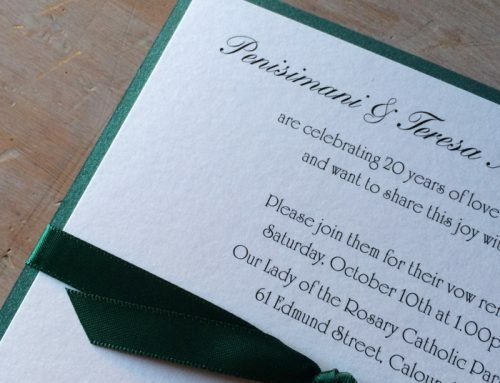 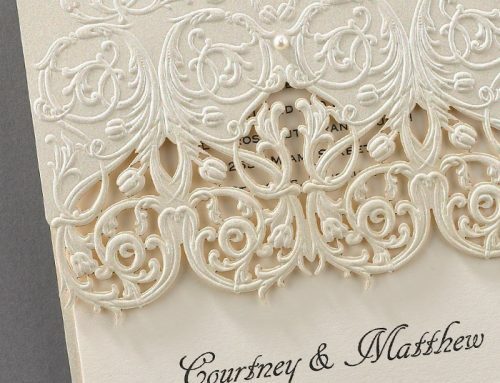 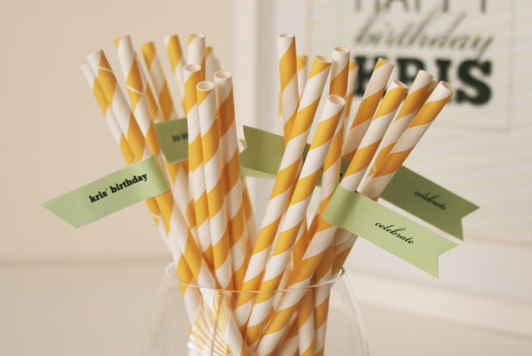 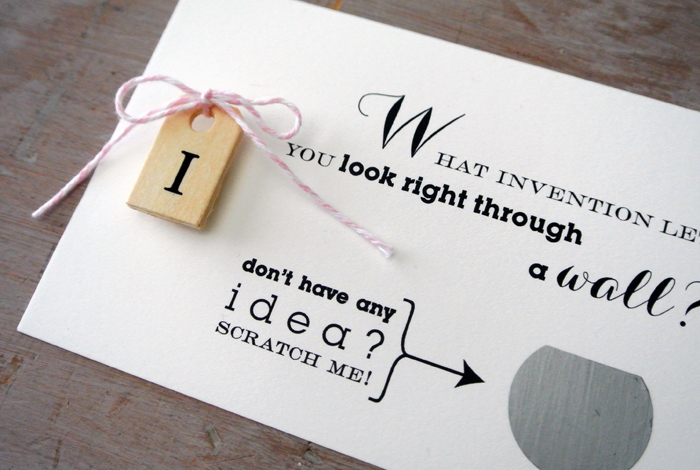 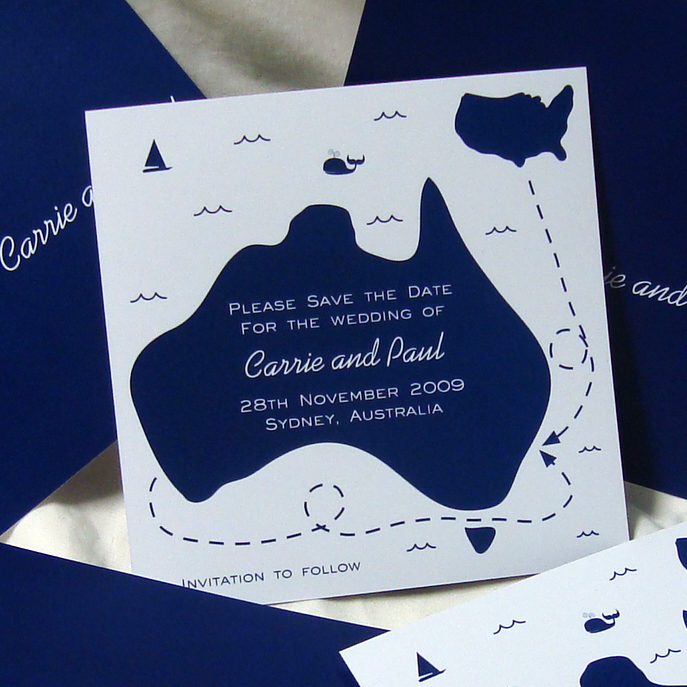 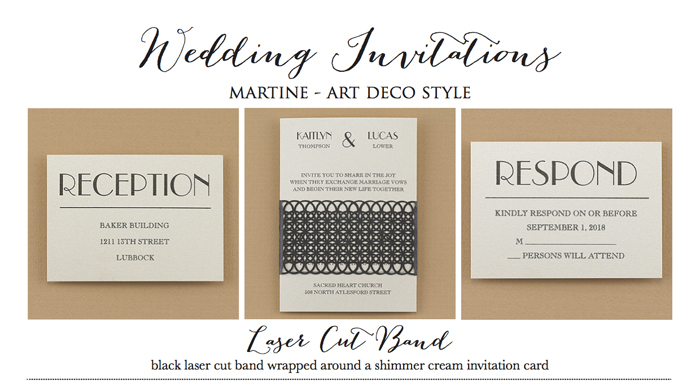 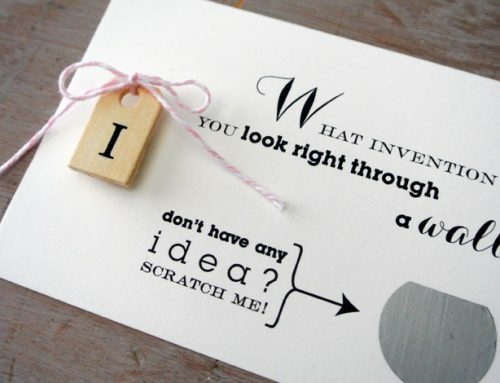 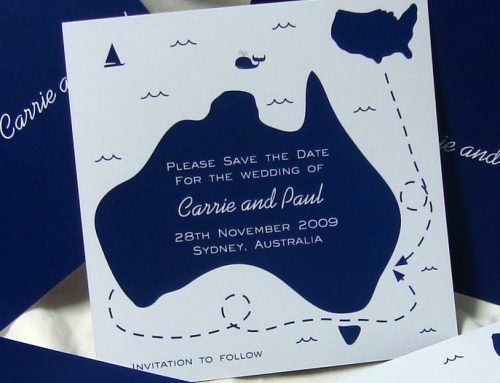 When Martine first contacted us she was looking for some Art Deco Wedding Invitation ideas. 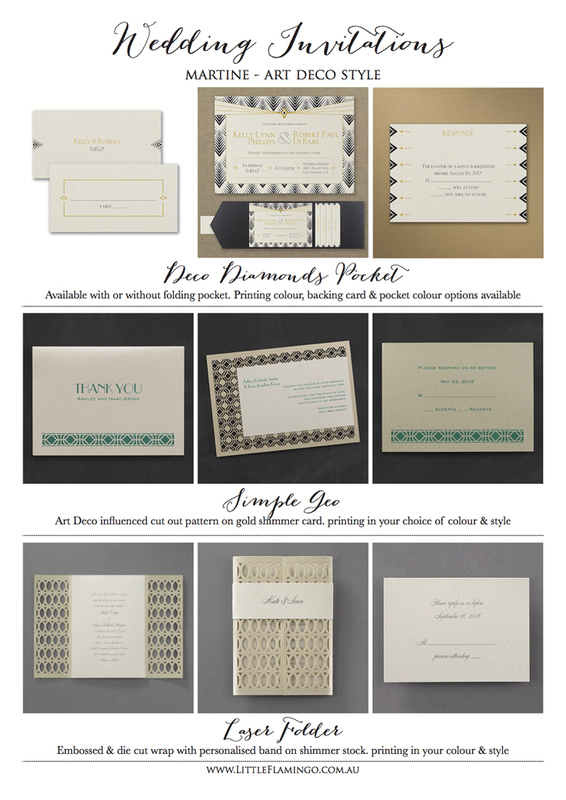 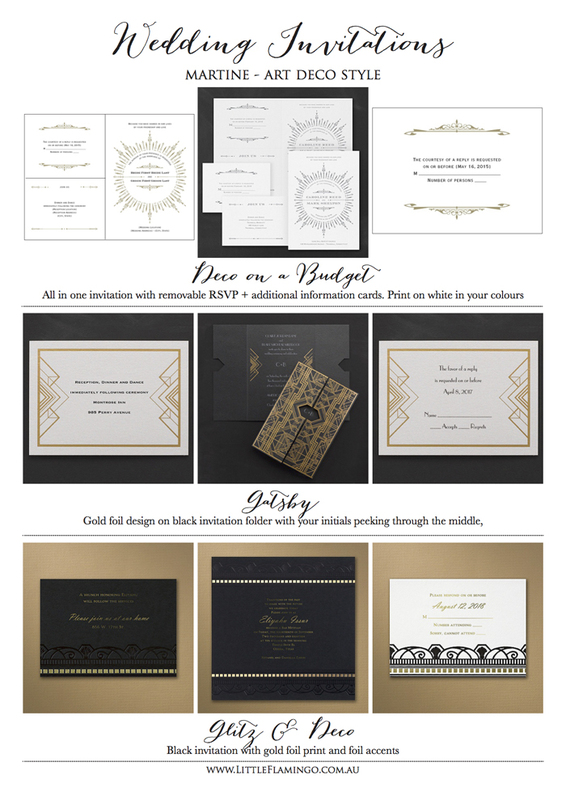 The team voted on their favourite 1920’s style designs from our invitation range and together we collated a list of Art Deco wedding invitations and Great Gatsby inspired designs which we then sent through to Martine. 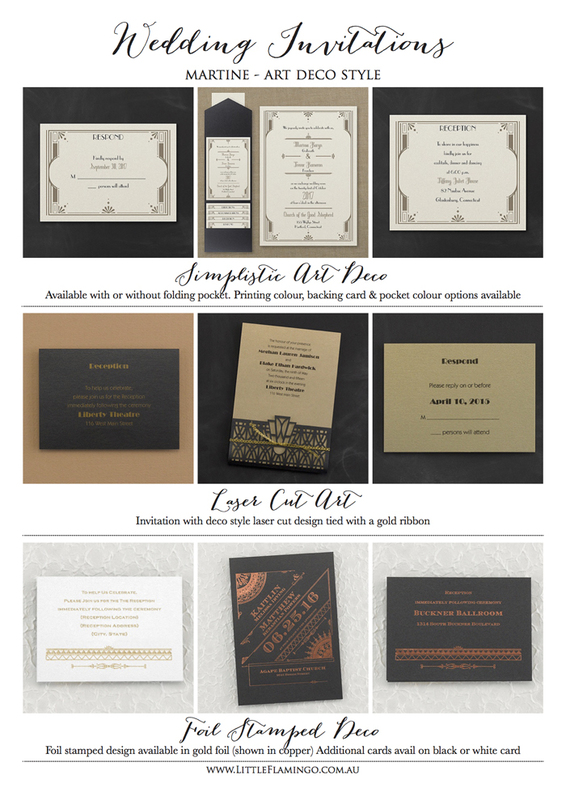 Below is our range of Art Deco wedding invitations, with some designs featured on the website and available to order online, while others are not on the website. 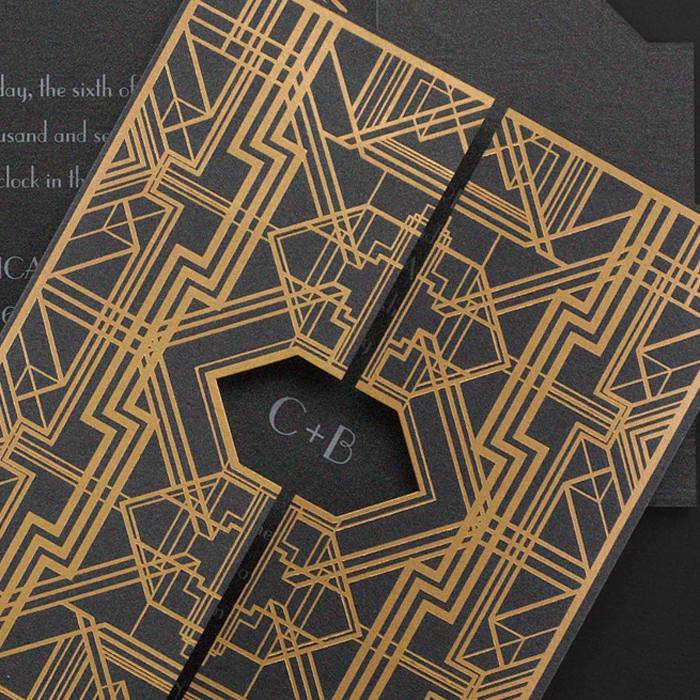 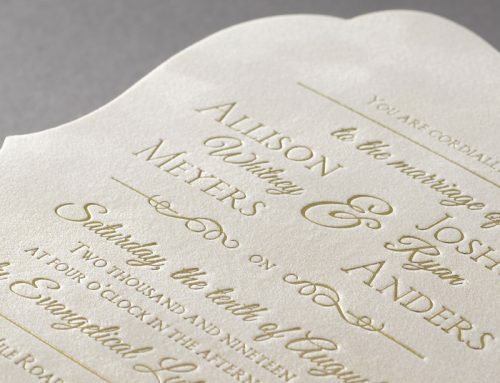 Most designs are available in a range of printed colours with options like foil printing and thermographic inks to create an even more luxurious 1920’s style invitation. 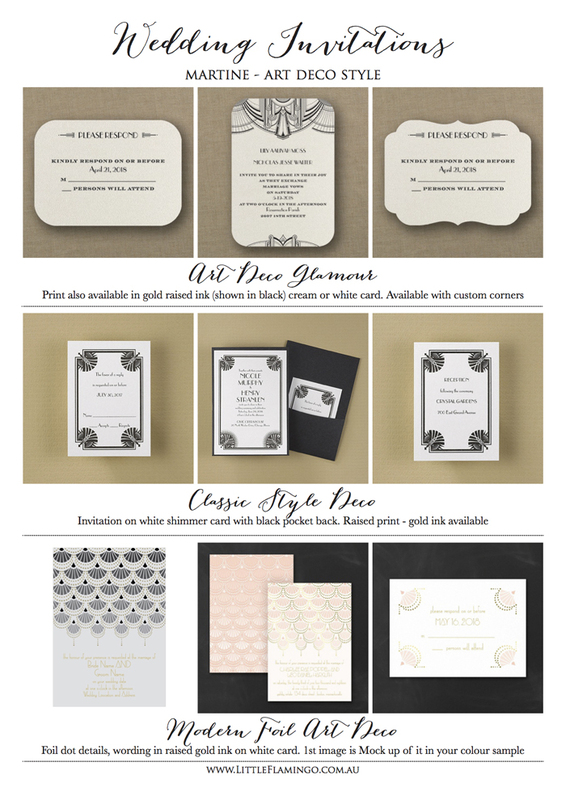 If you would like more details on any of the following designs, please contact Little Flamingo.